Do your students struggle with spelling and decoding? This product will help your students learn to spell and read bonus letters and glued sounds: all am, ang, ank, ing, ink, ong, onk, ung, unk. 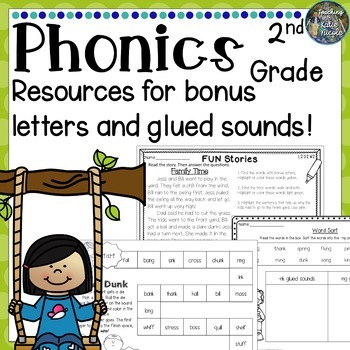 Students will be able to practice spelling and reading these sounds in a variety of ways. These resources help make spelling and reading fun and engaging! 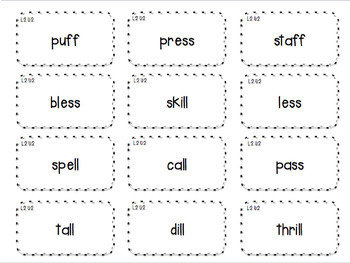 There are 27 phrase cards to help students have more experiences reading words with bonus letters and glued sounds, and trick words from this unit. I also included 9 cards that say “Go Again”, “Skip a Turn”, and “Discard Two”. You can choose to include these if you wish to play a game with the phrase cards. Or use the phrase cards as an intro to the lesson, passwords, a recap or to practice fluently reading phrases. 16 task cards and a blank sheet for students to record their task card responses. 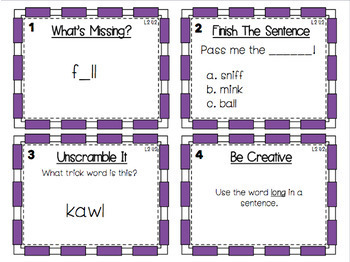 Task cards require students to: fill in the missing letters, unscramble trick words, finish the sentence, create sentences, and spell words as shown in an image, all with words from this unit and trick words from this unit. Card Game : “Sunshine”, Shuffle the cards, have students go around picking up cards and reading the words, the student with the most sunshine pictures wins. Over 25 pages of worksheets to practice spelling and seeing words with bonus letters and glued sounds: all am, ang, ank, ing, ink, ong, onk, ung, unk! A few worksheet examples: students have to create sentences with words that follow the spelling patterns focused on, use context clues to input words with the focused spelling patterns into sentences, word sorts, word searches, and so many more! This product correlates with second grade phonics skills. You could use this product along side the Fundations curriculum Level 2 created by Wilson Language Training Corporation. If you are purchasing this product to utilize with the Fundations curriculum for second grade, please be aware, this product correlates with level 2 unit 2.